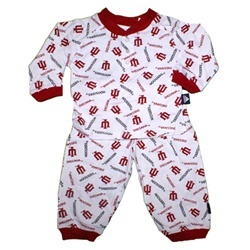 These cute pajamas have the Indiana Hoosier logos "all over" them. 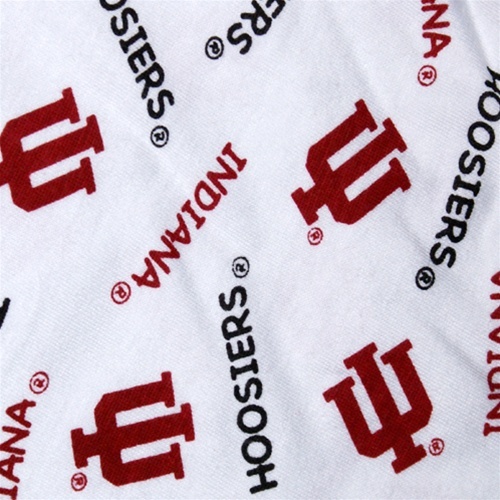 They include a pair of pants with elastic waistband and crimson trim and a top with three snap front and the same matching crimson trim. 100% cotton and a great way to send the little ones off to bed!